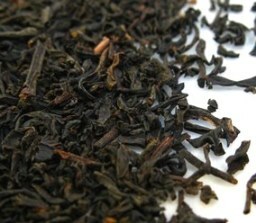 Keemun tea is a Chinese black tea best known for its unique floral fragrance resembling orchids and honey. In terms of tea history, you will find that this could be considered quite a new tea, but it is by no means less wonderful. This Chinese tea is composed of beautiful young thin black shoots of leaves and buds from the tea bush. These shoots are shaped into distinctive tight twists. Processed into a black tea, this beverage has a fruity flavor, almost wine-like matching the bright red color of the brew. With various health benefits this could be your everyday cup of tea. Keemun tea is a black tea grown in the Qimen county in the Anhui province, China. In fact, Keemun is the English spelling for Qimen. 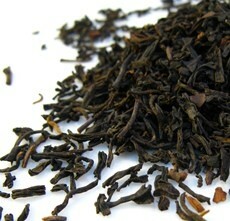 Unlike green teas that have had a long history in this region, Keemun black tea only dates back to 1875. A failed Chinese civil servant brought black tea processing techniques from the Fujian province and started producing black tea in Anhui with prodigious success. Its flavor, toasty with cocoa or red wine notes, soon grew to be greatly appreaciated worldwide, and so it was chosen to be the base of the well-known English Breakfast blend. In the mountainous region of Anhui this tea grows in areas covered by forest, low temperature, high humidity and frequent fog. These are the perfect conditions for growing an amazing tea. Leaves are harvested both in spring and summer. Young shoots composed of two leaves and a bud are picked to make this tea. The leaves are then left to wither. In this stage the leaves dry and lose excess moisture, which will allow the leaves to be handled with less risk of breaking. 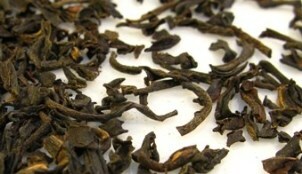 The flexible leaves are now rolled into the twisting shape that characterizes Keemun black tea. As the leaves are rolled the hidden flavor of the tea is brought forward. At this stage the tea is left to oxidize and as with all fully oxidized teas, the tea leaves turn black. The final stage of this processing method is to bake or fire the leaves, removing the last of the moisture still in the leaves, making them crisp. Sorted and packaged, the tea is then sent to shops. It is believed that this was the first Chinese black tea to be exported. 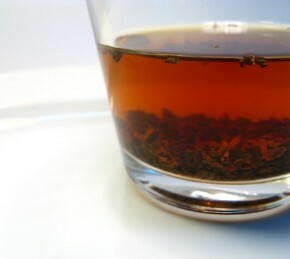 Slight variations in the processing method of Keemun tea leaves may render different varieties of this black tea, each with its own unique appeal. Keemun Mao Feng – Tea leaves and a bud are plucked earlier for this tea variety than for others. It is a high grade tea with a light and sweet flavor. Experience different tones of this tea by brewing less tea for a longer time (about 7 minutes). Keemun Hao Ya – This is another high quality variety of Keemun black tea, with small tea leaves and tea buds with golden tips. It has a strong and intense flavor that is greatly appreciated. Keemun Gongfu or Congou – This is a variety of tea created especially for the Gongfu tea ceremony (Gongfu means “with great skill”). Whole leaves are rolled into tight thin twists. Keemun Xin Ya – This final variety also uses tea buds picked early in the year. Its taste is less bitter than other Keemun varieties. There is also a variety called Hubei Keemun that comes from the Hubei Province, which means it is not a real Qimen/Keemun tea. Now let’s take a look at how this wonderful Chinese black tea can benefit your health. Keemun black tea contains antioxidants and polyphenols that, along with its caffeine content, can be greatly beneficial for your health. 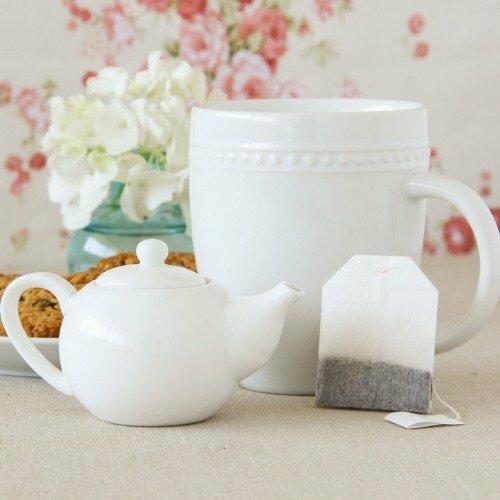 This black tea may help you lose weight by helping to improve your metabolism. If your body is able to process foods faster and get rid of unwanted wastes better, then the amount of fat that is absorbed by your body is smaller. The caffeine in this Chinese black tea also helps you to feel energized to exercise more frequently. So combine tea with a healthy diet to burn fat and build muscle at a faster rate. More than just boosting your metabolism, this tea also improves your digestion. It reduces the risk of indigestion by getting rid of excess acidity in your stomach. Have a cup of Keemun tea after your meals. This is a tea that pairs well with juicy red meats, but if you are prone to digestive problems, then perhaps you should drink it with simpler and lighter meals. The presence of antioxidants and polyphenols in Keemun tea helps to reduce the risk of cardiovascular diseases. This tea is said to help lower your blood pressure and reduce the level of LDL (bad) cholesterol in your blood. Improving your blood flow and also reducing your blood sugar levels can help you prevent on the onset of other diseases like diabetes. Remember to keep your tea unsweetened and give it a try. As with any other tea, this Chinese black tea contains caffeine which may be beneficial to you to a certain point (read below about the effects of too much caffeine). Caffeine in tea helps you keep mentally alert and physically energized. This tea also contains the L-theanine amino acid, a calming component that reduces feelings of edginess that sometimes can occur when drinking caffeinated beverages. 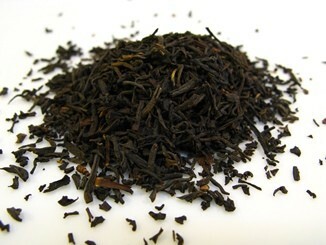 Although Keemun black tea does contain caffeine, it still contains less than coffee. And did you know that the effects of caffeine in tea last more hours in your organism than caffeine in coffee? Keemun tea is a good source of antioxidants. The presence of antioxidants in your system may help to fight and prevent inflammatory diseases and also may help inhibit the growth of cancer cells. Pollution, stress and unhealthy habits leave your body with fewer defenses against free radicals that harm your cells. Antioxidants are the components that may fight these free radicals and prevent the damage they cause. More information about black teas in general can be found at benefits of black tea. Try this Chinese Orchid Tea now! Being a black tea, Keemun tea contains a certain level of caffeine and while caffeine may be good for you, it can also have some side effects, particularly to those who are very sensitive to it. 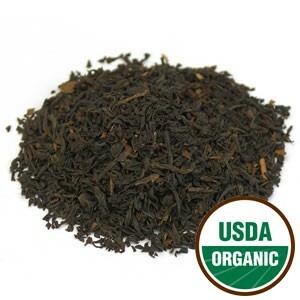 It is considered that Keemun tea contains a moderate to high level of caffeine. While caffeine levels depend on a great number of factors such as growing methods, altitude or type of soil, this makes it hard to generalize about what the caffeine content in Keemun tea is. Despite its many varieties, this black tea is made of shoots and young leaves, where caffeine tends to concentrate and at the same time it is steeped at higher temperatures and for longer periods of time letting it release more caffeine into the water. This is why this tea is a great choice for breakfast tea blends. If you are sensitive to caffeine then you may experience insomnia, anxiety, headache, irritability, accelerated heart rate or dizziness if you drink too much of this tea. Consider reducing you tea intake or switching to herbal teas altogether. If you are pregnant or breastfeeding, you should also be careful and reduce the amount of caffeine you ingest. Always follow your doctor’s advice as too much caffeine may cause premature birth and fetal developmental issues. To fully enjoy this deep red fragrant tea, take look at how to brew Keemun tea. Brew your tea in large teapot that allows the tea leaves to unfold and swirl to bring out the best flavor and properties of this tea. Preheat the teapot and cups by pouring hot water into them. Once these become warm to the touch, toss the water out. Keemun is a black tea with a vibrant color, which you can draw out by using white porcelain tea cups. Place 1 teaspoon of tea leaves per cup inside the teapot. Later on, if you wish to brew a stronger tea you may increase the amount to 2 teaspoons per cup of water. When brewing tea, always choose the best quality water so that you get the best tasting tea. If you don’t like to drink your tap water, don’t use it to make tea. Heat water to almost boiling point. This is a black tea so it can take boiling water, but it is better if the water first cools down to about 90ºC to 95 ºC (194ºF to 203ºF). Let your tea steep for about 3 to 5 minutes. You may brew for a longer period, but remember that the longer the tea steeps, the stronger the flavor will become. Pour the tea into the teacups and enjoy. 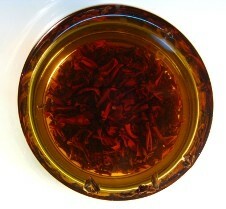 Notice the beautiful red color of this tea and feel its magnificent orchid and honey-like fragrance. Now take a sip. When tasting this tea for the first time, try it plain: no sweeteners and no milk, just tea. With each sip you should experience a velvety tea with sweet cocoa notes. Is any wonder that it pairs so well with chocolatey desserts? Keemun tea is said to go well with milk and sugar, so you may add these if you like. After all, this is the tea that is traditionally used to make the English Breakfast blend that is usually taken with milk. If you wish, you may reinfuse the same tea leaves at least two more times, but you should increase steeping time to ensure a great tasting tea. 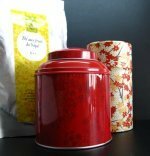 Store your tea in an airtight container and away from sunlight so that exposure to light and humidity do not ruin or age your tea leaves prematurely. Buy your Keemun Tea Today! Click on the image or on the link below to purchase from Starwest Botanicals your Keemun Congou F.O.P. Tea Organic. This is a refined high quality Chinese black tea from the Anhui region that has more than a hundred years of history. 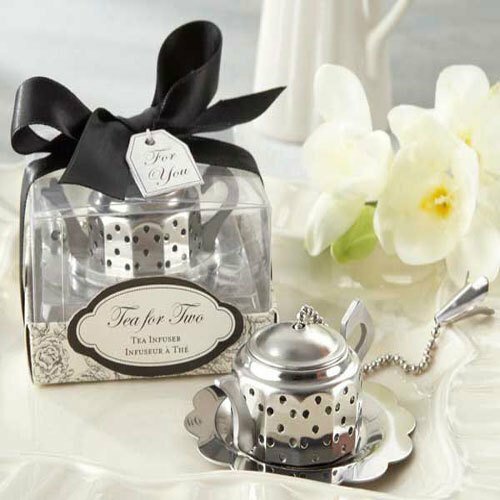 Savor a tea with unique cocoa and toasted marshmallow notes, with a great aroma and full body. Rich and flavorful, this tea deserves a place in your tea collection. Enjoy a cup of Keemun tea that is healthy, sweet and fragrant. Taste this Chinese Black tea today!